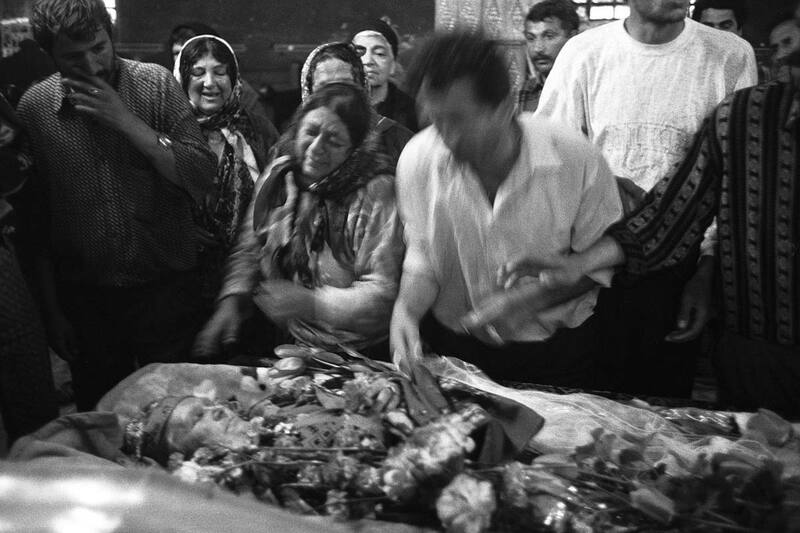 The body of Talia MIhai lies in a Romanian Orthodox church near the Calderari Roma camp of SIntesti, near Bucharest. The family of Talia grieve around her coffin. Talia who was very popular in the camp, and mother of the chief of the camp, died of a heart attack.